There’s Nothing Elementary About Our K-12 Designs. At WTW, there’s no one formula for an intelligently designed learning space. Every solution is unique and is able to support a host of learning styles – everything from collaborative and small group learning to new concepts like knowledge commons and active learning. We understand students. We understand new technologies. And we offer solutions that enhance the 21st century learning experience. 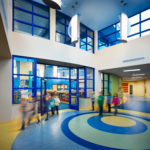 Our innovative, flexible, student-centric spaces enhance a student’s ability to convert raw information into knowledge, while supporting educators’ multiple teaching pedagogies. We recognize that a school is the most important building a community has. It’s a gathering place. A life experience. A source of pride. And most importantly, an investment in the future. The Youngsville Elementary/Middle School combines kindergarten through eighth-grade students. 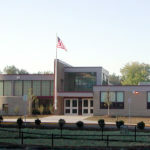 The 80,000-square-foot facility separates the elementary (K-5) and middle (6-8) grades horizontally between two floors. 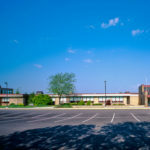 Long-needed infrastructure improvements and upgrades were recently made at Ingomar Middle School, the first since its original mid-1950s construction. 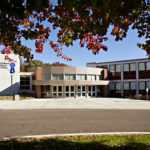 A new 15,000-square-foot addition was constructed along with 100,000 square feet of renovations. 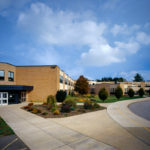 A new library, expanded art rooms and computer rooms, additional classrooms, and a new fitness/weight room were provided. Improvements also included new mechanical, electrical, air-conditioning, networking, and communications systems. 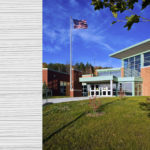 This project is one of three elementary schools renovated and expanded as part of the Upper St. Clair School District’s elementary schools improvements plan, supporting its expanding educational programs. 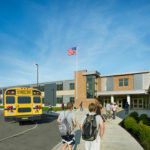 Additions and renovations of all elementary schools in the Upper St. Clair School District were needed to support the expanding educational programs. Streams Elementary was completely renovated including new windows, doors, roof, lighting, and mechanical/electrical systems. The kitchen and serving area equipment for the cafeteria was also completely replaced.